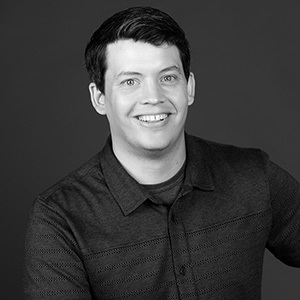 Cyrus Beedles is an architectural designer, providing drafting and design and 3-D modeling and rendering to Mackenzie's industrial projects team. Before coming to Mackenzie, he worked for an architect in Lawrence, Kansas, on single-family residences and apartment projects. He is skilled with photography, steel fabrication and blacksmithing, and studied and researched ecological restoration of prairie ecosystems in college. He has an interest in pro bono design; he has been actively involved with Habitat for Humanity, and has participated in Architecture for Humanity and the 1% Program of Public Architecture. "I draw motivation from active, engaging, and passionate clients and coworkers that realize every project can have a positive impact on countless people—actively and passively." not noticed. Most commonly, design is noticed when it fails. It is our goal as designers to create an experience that works so well that the user doesn't realize it's there. You only notice a light switch when it is not intuitive to use. a sign you need to push the limits.